Healthy cooking often means a drastic change in eating habits, and as habits are our second nature, it might be just one of the most difficult things in the world to do. Many students in our Online Healthy Cooking School say that the most difficult thing for them was to start, to make that first step towards the healthier kitchen and better habits. So, what do you do, where do you begin in that ocean of information about what is right and what is wrong on your plate? We asked 15 nutritionists and healthy cooks to share their best tips on getting started with healthy cooking. Here is the list of their practical advice, that can be helpful even if you are not a novice in healthy eating anymore. This reminds you to add at least one additional non-starch vegetable or beans to the meal or dish. This simple technique is fast and can really help you boost your intake of vegetables that provide important micronutrients, feed the good bacteria in your gut microbiome, and fills you up on healthy foods. The great thing is it’s inexpensive, quick, and can easily be done with items you probably already have on hand if you’re trying to eat healthier. Start with a single-ingredient plant-based complex carb; my favorites include beans, legumes, potatoes, or any minimally processed grain such as barley or farro. Consider swapping butter and lard for liquid oils – my favorite being Avocado Oil, which allows for a high cooking temperature, and thus contributes a great deal of heart-healthy unsaturated fats! For starters, cooking healthy does not need to be boring nor complex. One super easy swap is to start cooking with gluten free ingredients to make your dishes more nutritious. Swap out regular semolina drum wheat pastas for legume based pastas such as red lentil or chickpea pasta for increased protein intake, as 1 serving can have up to 14g protein. You can then add in your favorite vegetables and protein to make it a more well-rounded dish such as broccoli and grilled chicken. For flavor, you can whip up a plant based sauce in under 5 minutes such as a vegan pesto or a vegan cashew sauce. Incorporating dairy free ingredients into your cooking such as using coconut milk or vegan cheeses have added nutritional benefits as these are anti-inflammatory and also a good source of healthy fats and proteins. You can use coconut milk as a swap for regular milk when baking or making pancakes, and swap out butter for coconut oil in all recipes as well. People often overcomplicate cooking in their minds and when you add in a ‘healthy’ twist, it becomes even more daunting. From my experience, as a Food Business Owner and Health Coach, the best way to start is with whole food ingredients, prepared simply. And, don’t be afraid to take shortcuts to make it easier on yourself. 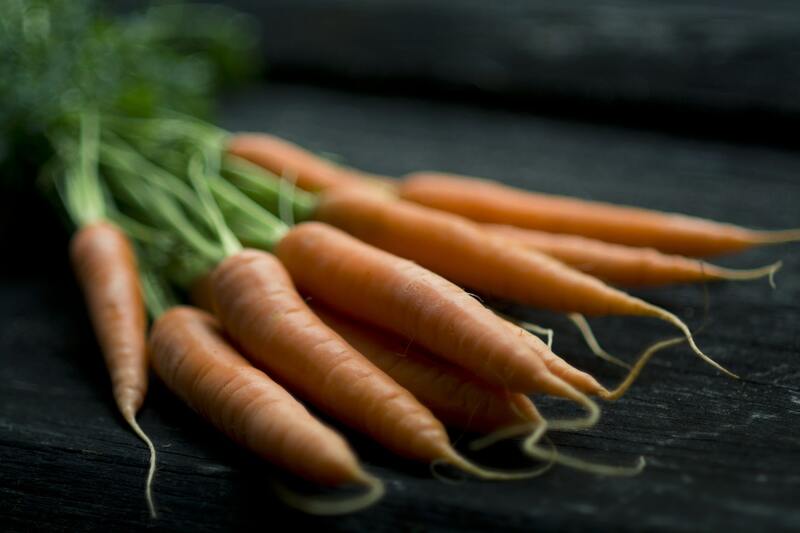 For example, purchase pre-cut vegetables or mini-versions, like baby carrots and baby potatoes. This makes it so much easier to get food prepped and into the oven. I love sheet pan meals – where all the ingredients are cooked together on one sheet pan, making clean-up a breeze too. One of my favorites is organic chicken thighs with roasted baby potatoes and baby carrots. Use simple spices like salt, pepper and garlic powder to season the chicken, potatoes and carrots. Drizzle some olive oil on the pan and cook all ingredients at 400 F for 30 minutes. It’s easy to change up this simple meal with different proteins, vegetables, herbs and spices, like rosemary, sage or turmeric, for variety. You’ll be amazed at how simple this meal is to prepare and wow your family and friends! The best way to get started with healthy cooking is to first make a list of all the whole foods you love today (i.e., vegetables, grains, beans). It’s common to get in a food rut and forget about all the whole foods you already like. It’s best to start incorporating these “Personal Best” foods into your current meals before introducing new foods into your diet. The second tip is to make a list and master ten flexible “Recipe Techniques” that are aligned to your eating style and can easily incorporate whatever ingredients you have on hand. For example, a stir fry over quinoa or zucchini noodles, simple pasta dish, a frittata with meat and/or veggies, a vegetable soup with chicken or beans, and a meat/veggie chili are good examples of this. Keeping ingredients you love on hand and using simple but flexible recipes is a great way to get into healthy cooking one bite at a time! The recommendation for the general public is to eat at least 5 servings of fruits and vegetables a day, with a serving equivalent to about 1 cup of produce. Most Americans find this difficult to do, but if you cook each meal so that half of the plate is filled with fresh, frozen, or canned fruits or veggies, you’re guaranteed to improve your health. Typically, you should shoot for 2 servings of fruit, as these are higher in sugar, and 3 servings of non-starchy veggies per day. Don’t count the starchy corn, potatoes, beans, or peas towards your vegetable servings. While they do provide nutrients, like fruit, they’re high in sugar and can make your liver work overtime to release insulin. Focus on the “rainbow” of fruits and vegetables to get all of your vitamins, minerals, and antioxidants. This means eating greens, reds, oranges, whites, and yellows throughout the week, as each color contributes a small portion of your micronutrient needs. Healthy cooking doesn’t need to involve all day meal prep, batch cooking and complicated meals or soggy dinners. Forget the idea of meal prepping and cooking for the entire week. This can get old, plus its tedious it involves a lot of work. Focus instead on 5 ingredients, 20 minute meals, that involve little to no prep. Think pre-chopped veggies, fresh pre-made guacamole and sheet pan dinners! Start small and pick one meal to transform at a time. Start with breakfast. Breakfast is easy to meal prep with homemade, healthy, and nutritious options, instead of all the processed sugar-filled junk, or worse, skipping breakfast all together before you run out the door.Easy options like overnight protein oatmeal, pancake bites, freezable waffles, vegan frittata bites, or classic baked goods like healthy muffins and quick breads. Options that can be made ahead, freeze well, transport well if you do need to eat “on the go” and work for everyone in the family will make your morning less stressful, fueled with nutrition, and lead you to have an easier time making healthy choices throughout the rest of the day. When going grocery shopping, try to buy produce in a variety of colors or choose a different fruit or vegetable every time you shop- think rainbow. This will offer a wide range of health-promoting nutrients because each fruit or vegetable is packed with its own set of vitamins and minerals that our bodies need. Many of the pigment compounds in these fruits and vegetables also act as antioxidants, which defend against cell damage. With the help of a bit of oil and seasoning, you can easily roast or sauté a mixture of vegetables and incorporate them into entrees or meal preps. Fruits can be sliced into salads or enjoyed as desserts. Having a variety of produce on hand gives you options when it’s time to cook, helping keep your meals interesting. the largest organic ready-to-eat meal delivery service. From my clinical experience, what we input to our bodies through food choices has a massive effect on “mental illnesses” (Anxiety, depressive disorders). It’s important to remember that a majority of our serotonin is located in our guts, that’s our neurotransmitter that creates feelings of happiness, so we first need to make sure our gut health is OK. My best tip is to start making manageable steps towards changing how you cook and eat. If you’re cooking with anything other than coconut, olive, or avocado oil, please change that now. Try new ways to roast veggies and always make your own sauces. They’re so much yummier and most likely always better for you. Here’s a healthy dressing recipe for honey mustard dressing: 1 tbsp olive oil, 1 tsp apple cider vinegar, 1 tsp dijon mustard, black pepper & Himalayan sea salt, a tsp (or less!) of pure maple syrup or agave. If you want to get started with healthy cooking, you may want to incorporate more plant-based ingredients in your diets such as beans, pulses, vegetables and tofu. When cooking with these ingredients, I would really recommend stocking up on some spices and herbs as they add so much flavour which will make all the difference. One of my favourite easy ways to make something healthy is to make a curry using chickpeas or lentils and lots of vegetables. Using spices such as curry powder, cumin and turmeric and herbs like cilantro (coriander), paired with some creamy coconut milk will transform the beans and vegetables into a comforting, flavourful curry that you won’t be able to stop eating! Make a plan and keep it simple! One thing I love recommending to beginner cooks is investing in a slow cooker. We have all been there; coming home from a long day at work and don’t have the energy or time to cook. Start the day off right and throw something into the slow cooker! It is very hard to burn, and the entire meal is already done before you get home. Bonus: Check your local grocery store to see if they have any slow cooker meals already prepped for you. Laurel Deininger is a Registered Dietitian and Certified Diabetes Educator located in St. Petersburg, Florida who loves cooking, yoga, and her dog, Reagan. Getting started with healthy cooking can be intimidating, so I suggest starting with small changes instead of trying to go all-in at once. You’ll need time to build your cooking skills and for your body to adjust to the new way of eating. A great way to start incorporating more healthy ingredients into your meals is to keep frozen vegetables on hand. Items like frozen broccoli florets, spinach, peas, or cauliflower can be tossed into many recipes, like soups, stews, casseroles, and quick pasta dishes for an instant nutritional boost. Plus, they’re already washed and chopped, which means less work for you. And perhaps the best part, you don’t have to worry about frozen vegetables going limp in the back of your fridge if you don’t use them right away. So often people try to do too much as one time, cutting out entire food groups or macronutrients (carbs, protein, fat). Start by focusing on adding more veggies to your day and consuming protein at each meal. Look for easy ways to make healthy swaps; one’s that take little to no effort. For example, instead of wheat pasta, try zucchini noodles or House Foods Tofu Shirataki Spaghetti. Instead of regular gnocchi, try a cauliflower based gnocchi. These are a few sneaky ways to increase your vegetable and protein intake, both of which keep you fuller for longer. When getting started with adopting a healthy cooking regimen, the key is to start simple by choosing one meal that you want to focus on. From there you can start to seek inspiration and recipes from Pinterest, Instagram accounts or cookbooks for that one meal. For example, if you want to start to cook healthier dinners, you can make a goal to cook one new healthy recipe a week. As you build up this habit, you can increase to two or three healthy recipes a week, until it some becomes a sustainable lifestyle. Then you can move on to looking at other meals or snacks to start cooking healthier options. Don’t overwhelm yourself, take it one healthy meal at a time. I love cooking and it is so important to incorporate good healthy habits into cooking! I love the “plus one” idea and will have to try that out myself! These are really great tips I have been implementing in the last few years. Eating the rainbow is something I like to keep in mind whenever I grocery shop. I am trying to be healthier. Not all the time, but most of the time. There are days where I just want fried foods and I don’t believe in completely denying yourself. But I always have veggies around. This is very very helpful. I am trying to eat healthier, i am getting there but it is not that easy. This actually helps a lot, thank you. wow these tips are super helpful. i’ve been counting macros and love that balance it brings me! I love the plus one idea. I’m going to start using it when I cook. These sound like some great ideas, I have to admit I am awful at cooking in any shape or form so can do with all the tips! I have been trying to focus on swapping things out for healthier versions and to have vegetables on half my plate. I sure have noticed a big difference in how I feel since I started doing it. PINNING. I have been so stressed and anxious lately and my eating habits are OUT OF CONTROL. I need to do better. This a great idea. I love healthy foods. It doesn’t make me feel guilty when eating a lot! Thanks for sharing this! I love using the slow cooker. It’s a great way to sneak veggies into a meal without the kids realizing exactly what it is they are eating too! These are some real life changing ideas. I love cooking things to their best nutritional potential. I like the gradual steps for starting to cook healthily! They make sense but aren’t so drastic that they are difficult to do. I like this — thanks for sharing!